I finished the New York Beauty block yesterday, and I can confidently state two things. First, I love it. Secondly, never again! Those curves are so teeny and fiddly, especially the one in the middle. I am a lot worse at sewing curves than I thought. 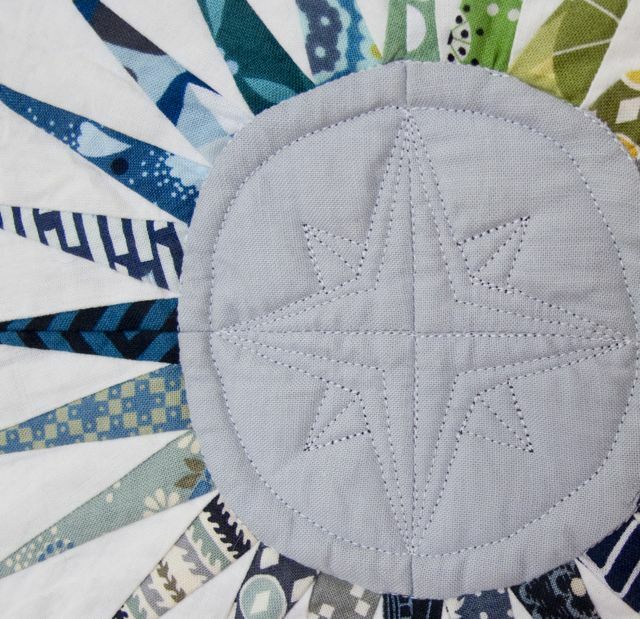 note how I cropped this very carefully so you can’t see the worst parts of the dodgy quilting! Ah well, she was worth it. I didn’t want to do too much quilting, mainly because I was worried I would mess it up and then cry, so I left the pieced sections completely unquilted. 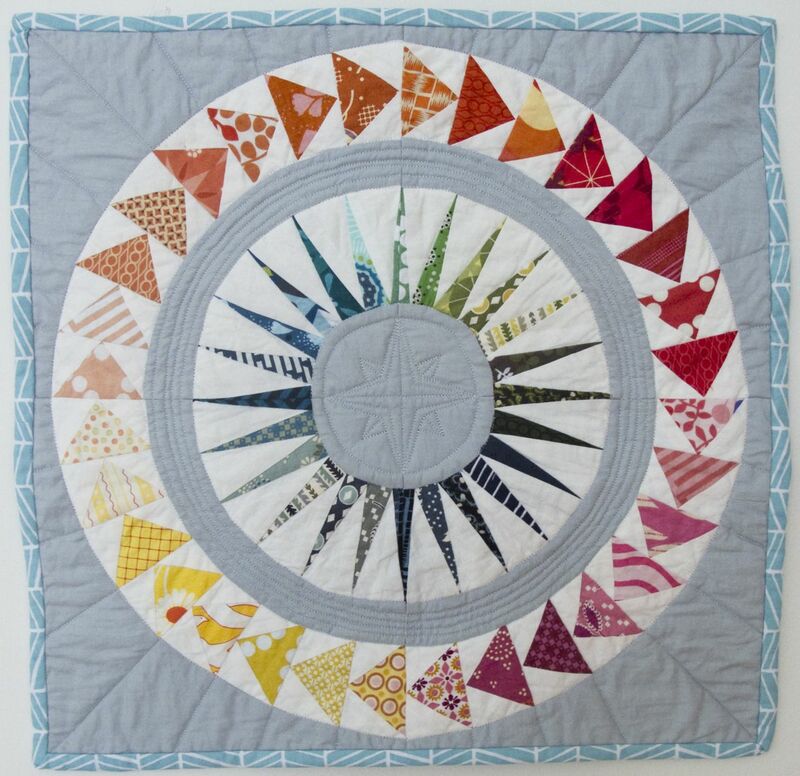 I tried a light version of Judi’s mariner’s compass for the middle, and I am really pleased with how it turned out. The rest is just simple straight lines and echo quilting. It’s on the wall with the Innocent Crush mini. They look fab together. One step closer to having a house entirely covered in quilts.